​ If you are concerned about lead poisoning in your home, don't hesitate to call our certified lead paint inspector. We pledge to do our best to detect lead and give you an honest and accurate assesment of the levels of lead paint in your home or apartment. Our lead paint inspectors are certified and knowledgeable in lead paint detection and risk assessment. Don't risk your health if there are signs of lead paint, or even if not but you have a home built before 1978. ​​ Lead poisoning is the result of lead buildup in one's body. This often occurs over months or even years. Even contact with small amounts of lead can cause serious health concerns. Children under the age of 6 are especially susceptible to lead paint poisoning, which can affect development mentally and physically. High levels of lead poisoning can even be fatal. The most common cause of lead poisoning in children is lead based paint or dust that is contaminated with lead in older structures. Lead poisoning can also be caused from contaminated air and soil. Adults who are often handling batteries, do home repair or renovation, or work in mechanic shops are also at risk for lead exposure. Treatments are available but the best option is precautionary measures before you are even exposed to lead. There are certain factors that may increase your risk of lead poisoning. These factors include age, living in an older home, certain hobbies, and living in developing countries. Young children and infants are more likely to be exposed to lead than older children. Explorative children are likely to eat, touch, and play with loose paint on walls or pick up chips off of the ground. Young children absorb lead more easily and are greater affected by lead poisoning than adults. Although the use of lead paint in homes was banned in 1978, many homes still have levels of lead that exceed safe living standards. With refurbishing antiques and rehabing old homes becoming increasingly popular, these activities are high risk for lead paint exposure and should be done with the proper safety precautions. Exposure to even low levels of lead can cause lead poisoning over time. This is especially true for small children with developing bodies. The greatest risk with small children for lead paint poisoning is brain development. Lead poisoning can cause brain development issues that are irreversible. Lead poisoning can cause damage to kidneys and nervous system in both children and adults. Extremely high levels can lead to seizures, unconsciousness or even death. Preventing lead poisoning can be as simple as washing hands and toys regularly, keeping dusty surfaces clean, removing shoes before entering a house, running the cold water for a minute if you have older plumbing which may have lead fittings and solder, eating a healthy diet and keeping your home well maintained. Again if you have any concerns of lead in your home please don't wait until it's too late. 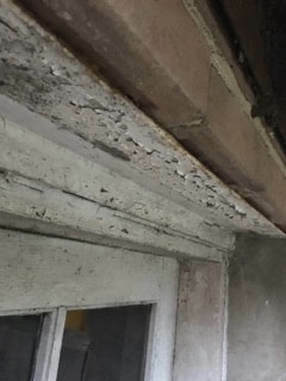 Call our certified lead paint inspector in Baltimore and get some information on what we can do to inspect your home for potential lead paint risk.